The Appalachian Regional Commission Recovery to Work listening session, at the Muscle Shoals campus of Northwest Shoals Community College, was designed to let federal and state officials hear the concern from a large audience, comprised of medical, education, municipal and other officials and providers with a keen interest in breaking the opioid addiction chain. U.S. 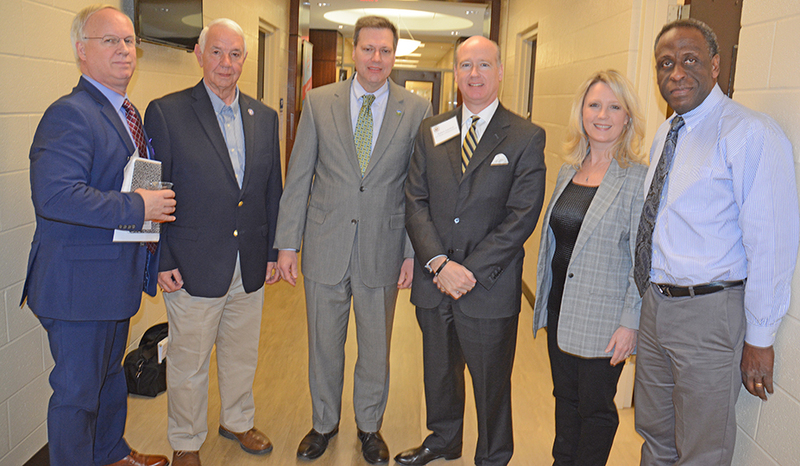 Congressman Robert Aderholt was joined in a panel discussion with Tim Thomas, federal co-chairman of the ARC, Kenneth Boswell, director of ADECA, Dr. David Jones of the Capstone Rural Health Center and Lisa Bright, of the Will Bright Foundation. Among those in the audience were Haleyville Mayor Ken Sunseri and Melinda Weaver, manager of the Haleyville office of Alabama Power Business Office. Mayor Sunseri echoed a concern that had been expressed by many in the room. Locally, officials from Haleyville, including staff from Lakeland Community Hospital, are part of The Northwest Alabama Coalition for Substance Abuse. “Several of the people from Lakeland will be here today and we’re trying to find out more information on assistance, to provide funding to help us resolve the situations we have right now,” Sunseri pointed out.